In LION, five-year-old Saroo (Sunny Pawar) gets lost on a train traveling away from his home and family. Frightened and bewildered, he ends up thousands of miles away, in chaotic Kolkata. 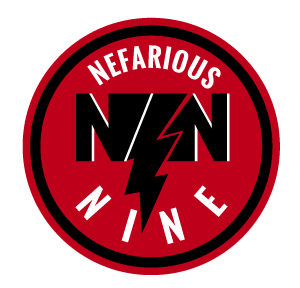 Somehow he survives living on the streets, escaping all sorts of terrors and close calls in the process, before ending up in an orphanage that is itself not exactly a safe haven. Eventually Saroo is adopted by an Australian couple (Nicole Kidman and David Wenham), and finds love and security as he grows up in Hobart. 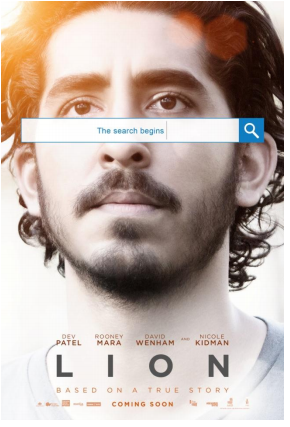 As an adult, not wanting to hurt his adoptive parents’ feelings, Saroo (Dev Patel) suppresses his past, his emotional need for reunification and his hope of ever finding his lost mother and brother. But a chance meeting with some fellow Indians reawakens his buried yearning. Armed with only a handful of memories, his unwavering determination, and a revolutionary technology known as Google Earth, Saroo sets out to find his lost family and finally return to his first home.